Ross Holzman is an artist, peace activist and social entrepreneur. 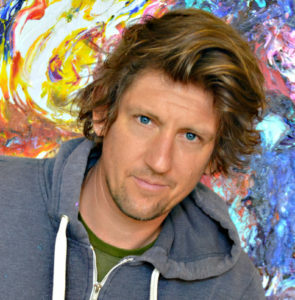 He is the founder and executive director of the Create Peace Project as well as the visionary behind The Peace Exchange, Banners for Peace, and the Peace Dance mural technique. A passionate and prolific artist himself, Ross loves facilitating collaborative arts experiences and empowering positive feelings through the creative process. Ross employs his philosophy that the cultivation of self-awareness through self-expression is one of the most powerful tools for strengthening our connection to our self, to others, and the world around us and thus creating peace. Ross is a published author, accomplished public speaker, and arts facilitator; having lead more than 125 Peace Exchange workshops, 30 Banners for Peace workshops, and numerous murals. Ross has worked with more than 20,000 children in schools across the U.S., Uganda, India, Nepal and Ghana since 2009. 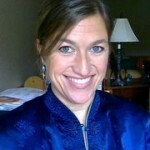 Andrea specializes in creating programs that assist in building different relationships nature, worldview, and community. For over 20 years she has engaged in the field of experiential and place-based education. From the grassroots development of community engagement programs at local levels to programs focused on national and international audiences. Andrea has served in various leadership capacities in the fields of international education, environmental and place-based education, and sustainable development. She has conducted in-depth research in education and community engagement and is a strong supporter of nature based education. Wanda Whitaker, a graduate of the University of Maryland in Communications, has over 30 years of fund raising and marketing experience as President of Whitaker & Associates, a cause related marketing consultancy agency. 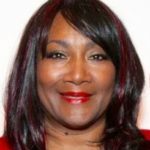 Additionally, throughout the years she has worked with the underserved population of youth and women as a counselor, community liaison, volunteer, arts facilitator and instructor in San Francisco and Washington, DC. She has served as Vice President of the board of Global Exchange and traveled to over 38 destinations around the world including Japan, where she spoke about world peace. 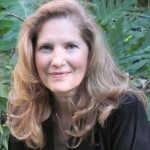 Currently, she is a visionary artist, spiritual life coach and certified hypnotherapist. 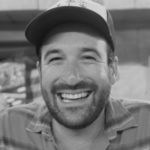 Zach has spent the last fifteen years building social and environmental movements across the United States and beyond. A systems thinker, Zach approaches the dilemmas of today’s world holistically, with a mind to create lasting solutions through the authentic participation of forward-thinking communities. As progressive entrepreneur, he believes that through conscious capitalism, business can be used as a tool to accelerate positive change. Oren Jaffe is a manager in the Corporate Social Responsibility (CSR) and Sustainable Supply (Chain) Network Solutions group at Intertek, a worldwide quality assurance services company that works with brands and retailers to enable global trade. Previously, Oren co-founded the national business networking organization EcoTuesday Inc., the environmental-consulting firm BlueMap Inc., and worked as a social accountability expert for Bureau Veritas Consumer Products (BV). He has worked for professional sports teams, technology firms in the Silicon Valley, and even started an outdoor advertising company that sold blimps, hot air balloons, and airplane banners. 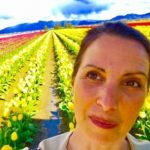 Oren has a Bachelor of Science in Marketing and Sports Marketing from the University of Oregon, and an MBA from the University of San Francisco. Samara is a nonprofit program director and mosaic artist whose mission in life is to spread love. She began her career with a passion for environmental education, leading thousands of young people on outdoor explorations, hiking adventures, tours of local farms, and visits to the dump to find out where our garbage goes. 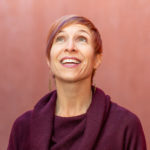 More recently she served for 12 years as Director of Education for the Center for Urban Education about Sustainable Agriculture, where she designed and managed programs to teach gardening, inspire healthy eating, and build a just and sustainable food system. She enjoys making art out of pieces of glass, tile, and found objects, and loves seeing children’s faces light up as they discover their artistic side. Samara has been working with Create Peace Project since mid-2018 supporting our mural painting and mosaic projects in San Francisco schools.